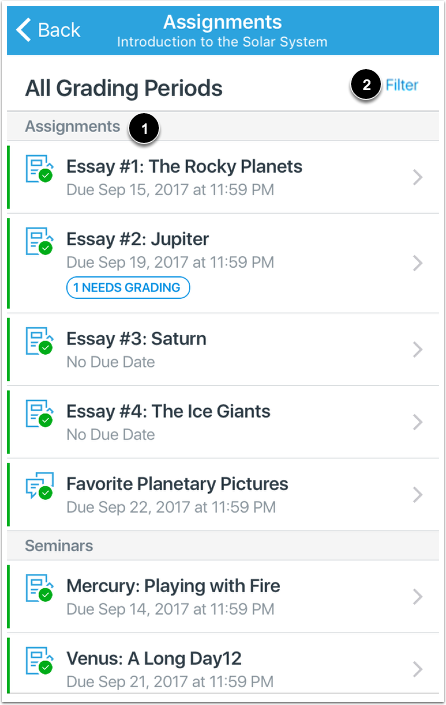 How do I view Assignments in the Teacher app on my iOS device? 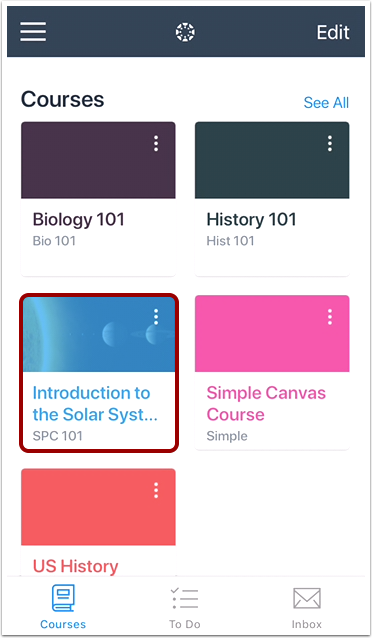 The Canvas Teacher app helps you view and edit existing course assignments. Assignments are organized by assignment group and due date . If your course includes grading periods, you can also filter by grading period by tapping the Filter link . 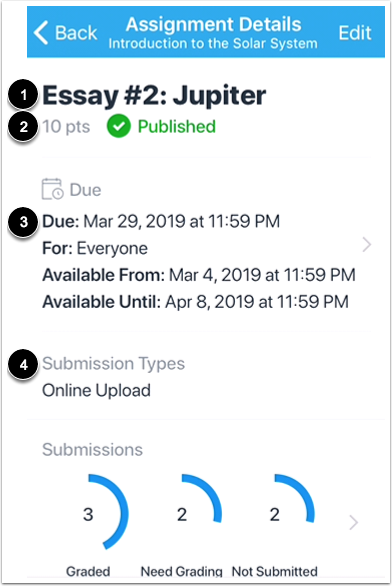 For each assignment, you can view all the details for the assignment including the title , points , due date , and submission type . To edit the assignment, tap the Edit link . 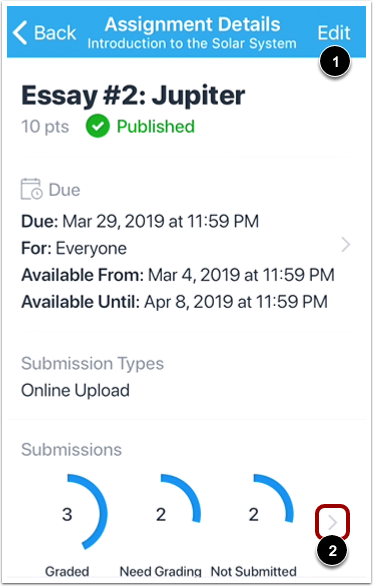 To view submissions for the assignment, tap the Submissions icon . To edit the assignment title, tap the Title field . To edit the assignment description, tap the Edit Description link . You can use the Rich Content Editor to format description text. To edit the point total, tap the Points field . 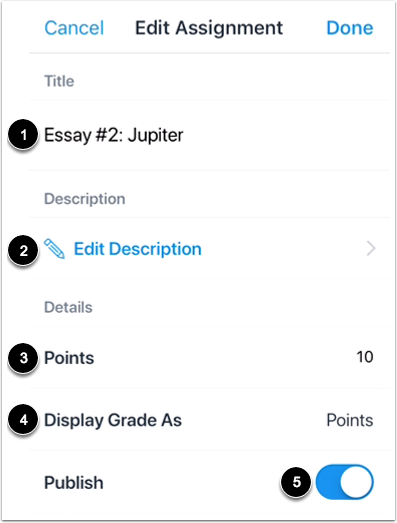 To edit how the grade is displayed to students, tap the Display Grade as field . Display Grade options include Percentage, Complete/Incomplete, Points, Letter Grade, GPA Scale, and Not Graded. 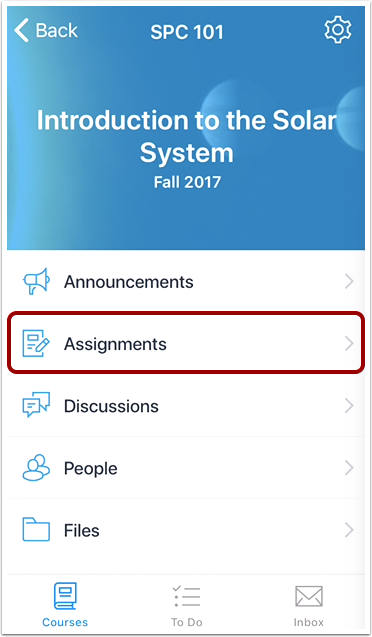 If the assignment does not have any submissions, you can publish or unpublish the assignment by tapping the Publish button . 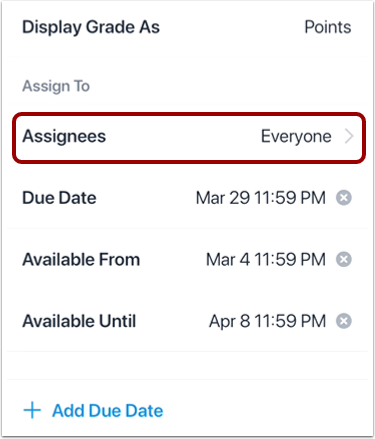 To edit who the assignment is assigned to, tap the Assign To field. View the current assignees for the assignment . 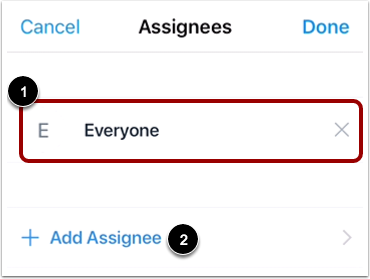 To add assignees, tap the Add Assignee link . Tap the sections , groups , or student  that you would like the receive the assignment. You can also search for assignees in the Search field . Selected assignees will display on the screen . To save your assignees, tap the Save icon . 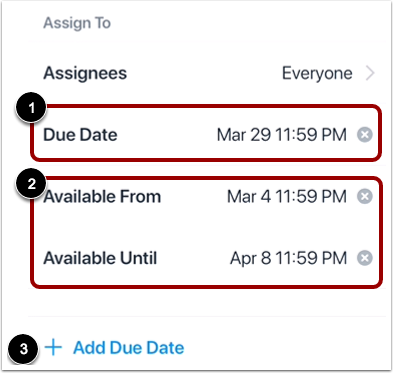 To edit the assignment due date and time, tap the Due Date fields . To edit the availability date and times, tap the Available From or Available To fields . To add additional due dates or availability dates, tap the Add Due Date link . Previous Topic:How do I add an announcement in the Teacher app on my iOS device? 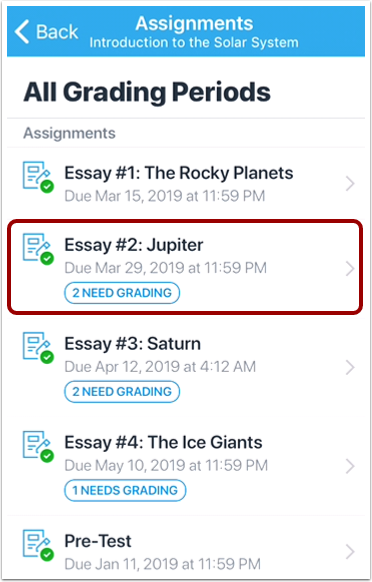 Next Topic:How do I view assignment submissions in the Teacher app on my iOS device? Table of Contents > Courses > How do I view Assignments in the Teacher app on my iOS device?